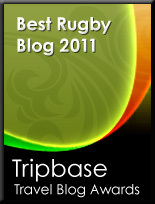 TOTAL FLANKER...a rugby blog: To tackle or not to tackle? Fresh calls this week in the British Medical Journal to “ban harmful contact” in schools rugby to reduce the risk of injury, particularly to the head and neck, with researchers calling for the UK government to “put the interests of the child before those of corporate professional rugby unions." I’m all for trying to make sure that kids are as protected as possible on the rugby field, but I'm far from convinced that a ban on tackling in schools is the answer. As long as good tackling technique is taught and teachers are well-trained in dealing with injuries then there is little doubt that the benefits of playing rugby – fitness, teamwork, discipline etc - far outweigh the risks. And there lies the possible issue. In many state schools in particular the sports staff are simply not skilled or experienced enough to teach good tackling technique and in those instances I would agree that the kids playing contact rugby may not be safe. 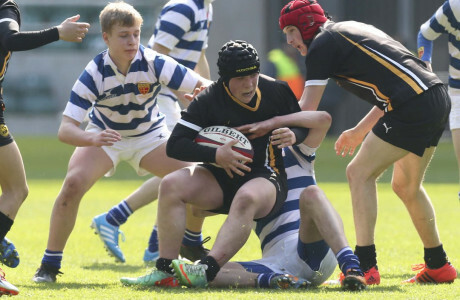 I also have some sympathy with the argument that perhaps full contact rugby should not be compulsory in schools – it’s not for everyone, after all. I can’t help feeling, however, that imposing a blanket ban would be a classic case of using a sledgehammer to crack a walnut.